This is a chain restaurant. The four branches are spread throughout the city. We recommend two of them. One is near Fubo Hill; the other is near Guilin Bravo Hotel. 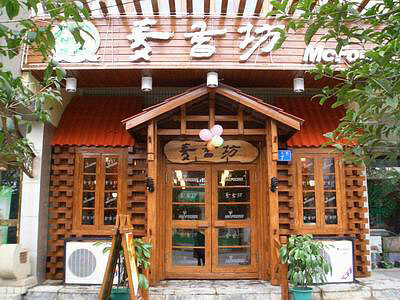 McFound specializes in food from the northern areas of China where wheat noodles and dumplings are served more often than rice. After it’s opened, it enjoys very good reputation quickly due to its tasty food and cheap price. It is very popular for the locals to eat there and always crowded. So it’s not a good idea to go there without reservation between 6:00pm and 7:30pm.